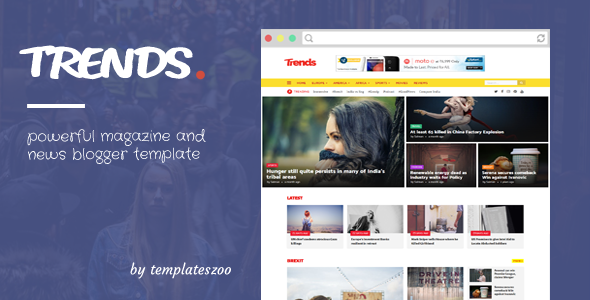 Description: Trends - News/Magazine Responsive Blogger Templates is a beautiful blogger template with a whole lot of features. It’s responsive, modern, fast, engaging and customizable. Designed specifically for news and magazine blogs, you will have a lot of categories to show all your content. It supports blogger’s template designer feature where you can easily change colors in your template.